This Saturday night, former 140 pound champ Amir Khan will get what is almost certainly his last chance at greatness. Khan has done a whole lot in the sport, winning multiple big fights that can never be taken away from him – see his wins over Marcos Maidana, Zab Judah, Andreas Kotelnik and Devon Alexander – yet despite this he has a reputation he does not like: that of a ‘chinny’ fighter who always loses the big one. A win over the unbeaten Crawford would go a long, long way towards removing this unflattering (and not altogether accurate) rep. 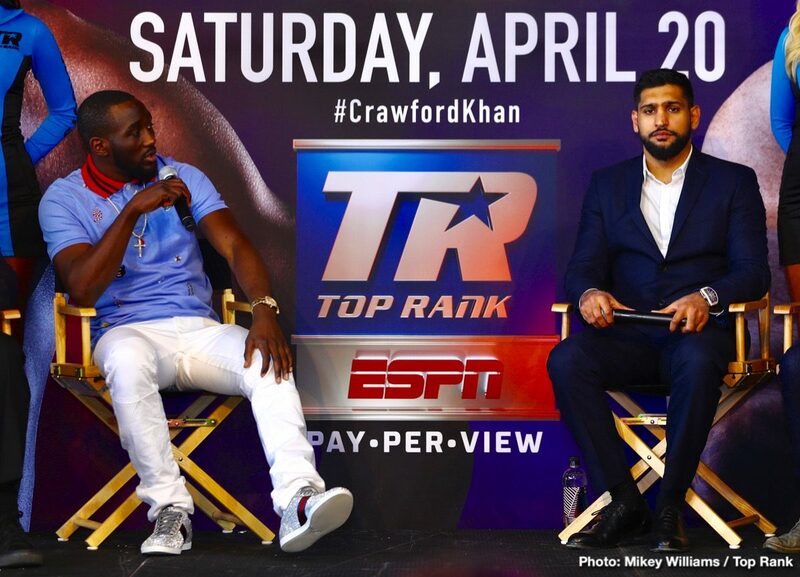 But can Khan, at age 32, box the perfect fight and upset the defending WBO welterweight champion? The odds say no, as do most experts – including the man who perhaps knows Khan, 33-4(20) better than anyone: his former long-time trainer, Freddie Roach. Speaking with Boxing Social, Freddie said that Khan will do well for a time, that he is faster than Crawford, but that ultimately Khan’s zest to go for the KO will cost him. Badly. It seems Roach will be proven correct and at some stage in the fight – most likely around the eighth or ninth round – Crawford, 34-0(25) will hurt his challenger and get the go-ahead to put the finishing touches to his night’s work. Khan will lose again but he will give his all again. This may end up being how Khan is remembered: as a fine and brave and skilled fighter who never once featured in a dull fight. But would this be enough for Khan himself?